From the Maple Theater to Franklin Cider Mill, there is tons for you to see and do while in Bloomfield. One of the worst parts of traveling from home is experiencing a hiccup in the road. Tooth pain is one of those hiccups and it can occur at any time. 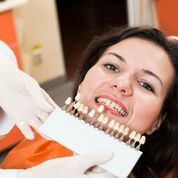 Fortunately, Bloomfield is filled with quality emergency dentists who are prepared to see you and alleviate your pain. Emergencydentistsusa.com has taken the work out of finding an emergency dentist in the area for you. We have compiled a list of all emergency dentists nearby that are accepting patients. All you need to do is take a moment to scan the list and find a dentist that meets your needs. The list is able to be viewed on our website, 24 hours a day, 7 days a week. If you are in a position where you cannot access or view our online list, don’t hesitate to contact our toll-free dentist finder hotline. Here, one of our representatives will work with you to locate a nearby emergency dentist who can help you. We will schedule your first appointment for you as well! If you are visiting Bloomfield or new to the area, you will be happy to know that there are many emergency dentists ready to help you. You will find that emergency dentists specialize in all areas of dental work from root canal to broken teeth and more. Whether you need an emergency pediatric dentist for your child or you need an emergency oral surgeon, you will definitely find a provider here in Bloomfield who can help. Description: At Bright Side Dental & Orthodontics, we take your dental health seriously. We offer preventative and treatment services here in our state-of-the-art office. Our team is committed to making sure you are comfortable at all times. We do see patients who are experiencing a dental emergency and we can treat your abscess, tooth decay, and more. Description: Bloomfield Dental Center is your number one stop for all of your dental emergency needs. We not only have the experience you desire, but we are equipped with the latest in technology to ensure your visit is comfortable, pain-free, and informative. We do specialize in general dentistry and also tooth replacement options. Description: Bloomfield Dental Care offers a state-of-the-art practice that is committed to making sure your visit is as painless and stress free as possible. We offer digital x-rays, which expose you to less radiation and we also provide emergency services to our dental patients. Whether you have a broken tooth or an abscess, we are here for you. A dental emergency is not something that you want to ignore because you may actually make the problem worse in the process. For example, an abscess needs to be handled right away or it can spread to other teeth or areas of the body and thus leave you in a vulnerable situation. If you have had tooth pain for more than an hour or two, you should look for a nearby Bloomfield emergency dentist who can help. Local emergency dentists will be able to alleviate the pain you feel and also treat the problem. Before you visit a new dentist in Bloomfield, do make sure that you check and verify their licenses and certifications to ensure they are who they say. To do this, you can inquire with the front receptionist on the day of your appointment. You can also visit the Michigan Dental Association website and perform a search of the dentist’s name.